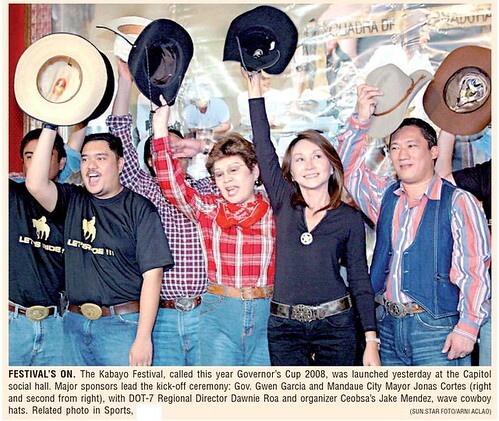 This weekend (Feb. 15 to 17), a big event will kick-off at the Mandaue Reclamation area: the annual Horse Show and Competition now officially named “The Governor’s Cup 2008.” If you want to see cowboys or want your 12-year-old to ride on a pony, visit this weekend. 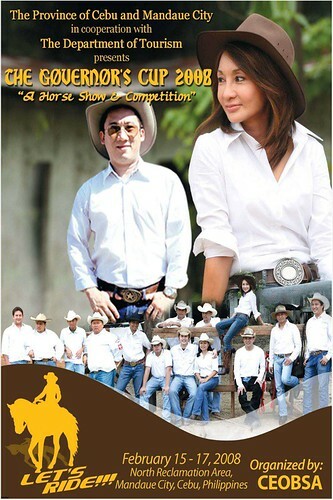 To my brother-in-law Jake Mendez, the president of the organizing group (CEOBSA), good luck. 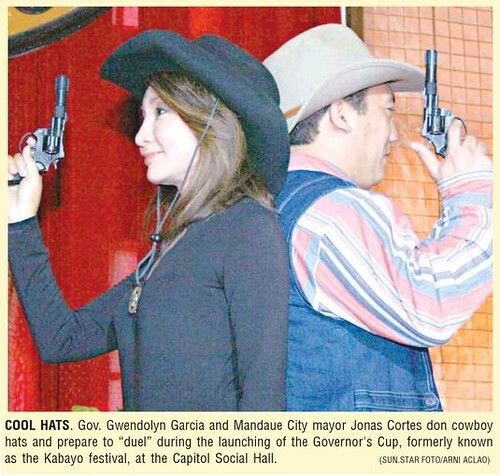 And, doesn’t Governor Gwen look pretty and perfect in cowboy attire?